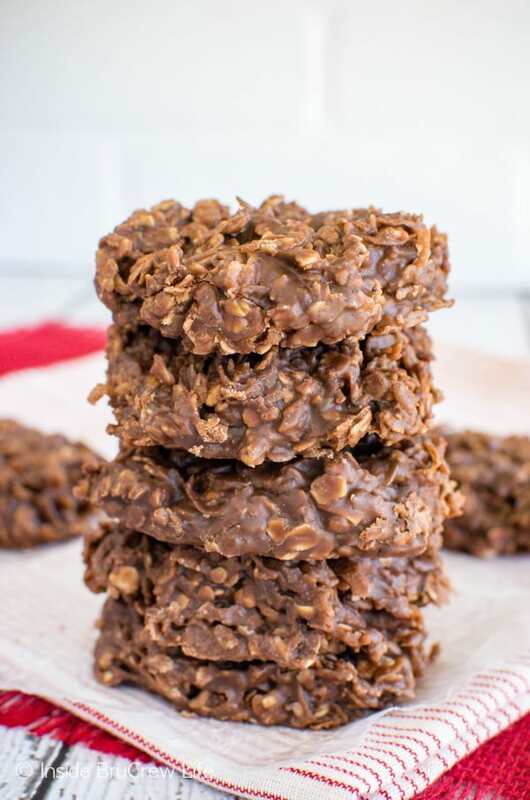 These easy Nutella No Bake Cookies are a fun and nostalgic treat to make in no time at all. Perfect after school or midnight snack. It has been way too long since I have enjoyed a no bake cookie around here. In fact, I really can’t remember the last time I had one. 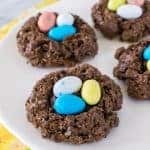 I actually think these no bake cookies that I shared 5 years ago was the last time I made and ate them. 5 years ago! That’s crazy. One because when I looked back, I realized how tiny my kids were that day, and two because no bake cookies are awesome. How could I have gone so long without have them in my life?!?!?!! Actually, one reason I don’t make them more often is because of all the coconut in them. I end up eating the entire batch of cookies because my kids say they don’t like coconut. Yes, the entire batch!!! Diet fail going on right here! I’m going to need another 24 Day Challenge after all these cookies! I’m wondering if I toast the coconut and give it a crunchy texture if that would change the crazy kids minds? That might just have to happen!! All I know is that after one of these cookies I knew I had to make more batches because they were so dang good! Were good because I devoured them in like 9.456 seconds! I’m sorry peanut butter, but I may never use you again in this recipe. The Nutella and coconut combination was absolutely divine together. They were actually “you will eat more cookies than you care to admit” good! Don’t just take my word though! 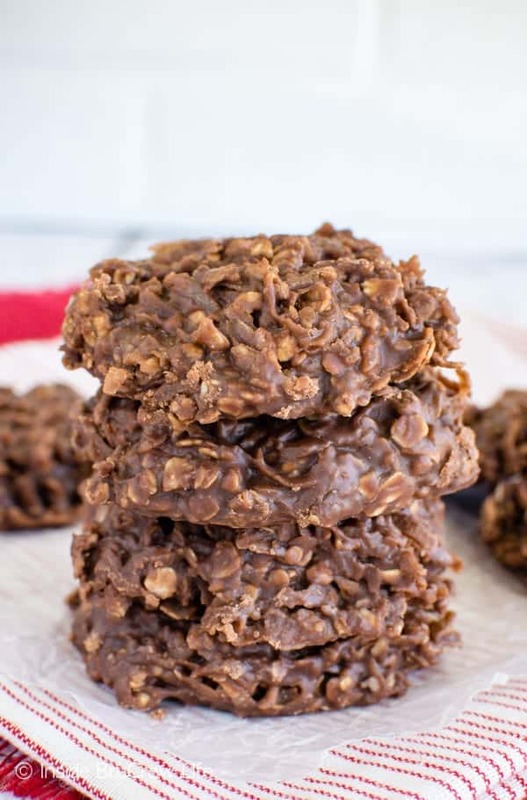 Get in the kitchen and make your own batch of Nutella no bake cookies. You can thank me later. Or your jeans can send me hate mail. It’s ok. My jeans are currently unhappy too. 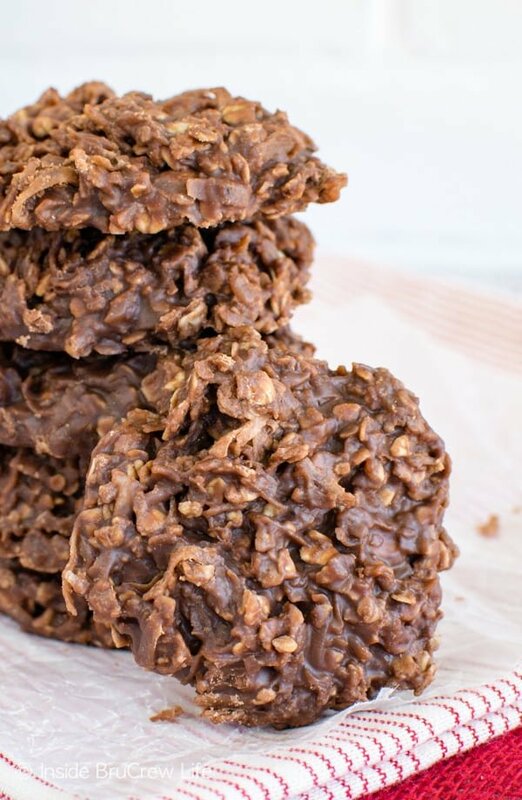 These easy Nutella No Bake Cookies come together in under 15 minutes. Perfect treat for any time of day or picnics. Place the butter, sugar, cocoa, milk, salt, and vanilla in a saucepan over medium heat and stir until melted and smooth. Bring the mixture to a boil. Boil 1 minute, while stirring constantly. Remove the pan from the heat and stir in Nutella until smooth and creamy. Add the oats and coconut and stir until combined and coated. Drop by large spoonfuls onto parchment or waxed paper. Flatten and shape, if desired. Let set until completely cooled. Store in a sealed container. Makes 24 large cookies. *This post may contain affiliate links. Inside BruCrew Life does receive a small percentage from sales made through these links, but they do not cost you anything extra. Thank you for letting us share products we love with you. It’s been a while since I made no-bake cookies too! Sending this one to the printer right now! It’s been too long since I made no-bake cookies!! These are so pretty! 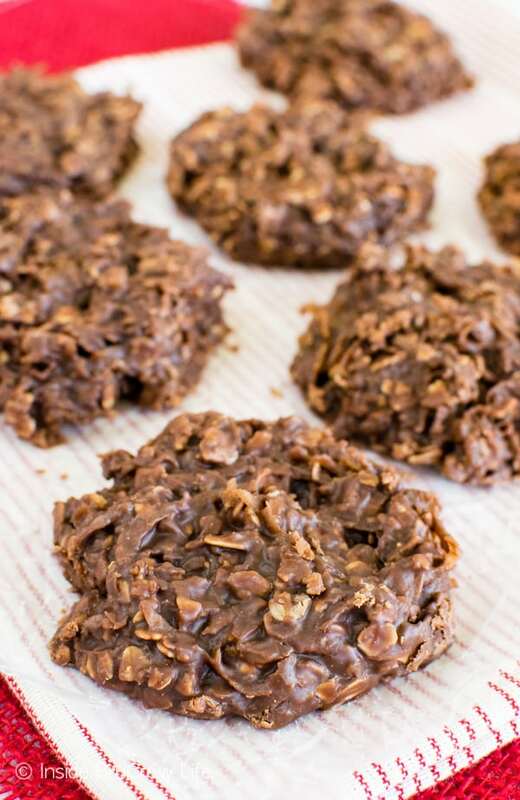 I have made no bake cookies for years, but will definitely use Nutella the next time. 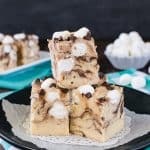 I made these once and could NOT stop eating them. They look so innocent, but they’re dangerous!! I haven’t made no bake cookies in ages!! Need to fix that with these amazing looking cookies!! You are supposed to add vanilla last. These are very good. I am always changing something on the No Bakes. Actually the oatmeal should be added first then the nutella , coconut and vanilla. I always have everything ready before I turn stove on. It doesn’t take long for these to come to a boil. Soooooooooooooooo good. I think everyone has a different way of making them. I happen to like adding my ingredients this way. They still turn out amazing! Toasted coconut in a non-scratch fry pan for 5 min stirring constantly. Added 2 Tablespoons of peanut butter. Thanks for posting this! My son is allergic to peanuts and I’ve always made it with peanut butter. I’ve tried it with biscoff and didn’t like it as much. We LOVE nutella and can’t wait to try this version! 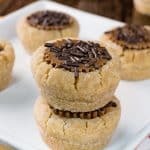 Try wow butter as an alternative to recipes using peanut butter!! It’s amazing. How much of a coconut flavor do these have? I thought they had a lot more of a chocolate flavor. But because the recipe has 3 cups of coconut you will taste that some, but it’s more of texture thing I think. I think they would be fine to freeze. You will probably want to put some wax paper or parchment paper between the layers and put in a tightly sealed container. Place them in the refrigerator for a few hours when you want to thaw them out, and then place on the counter to come to room temp gradually. I hope that helps. 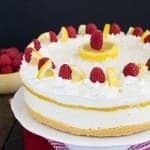 What can I use instead of coconut? My husband is not a big fan of it!!!! I would just leave out the coconut and add another 1 cup oats to the mixture. I hope you enjoy them! Can I put them in the freezer???? They usually do not last long enough to make it to the refrigerator or freezer. But yes, you can freeze these cookies. 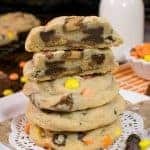 I would layer them between parchment paper so the cookies do not touch each other and keep them in a tightly sealed freezer container. When you want to thaw them, place them in the refrigerator overnight, and then place on the counter to come to room temperature slowly. I hope that helps and that you enjoy the cookies! Can I use regular old fashioned oats instead of the quick kind? Yes, you can. You can also throw the old fashioned oats into a blender or food processor and give it a whirl so they are the consistency of instant oats. I’m afraid that these will mark the end of my resolve to lose weight in 2018. You mentioned that your kids don’t like coconut. What about substituting Rice Krispies for the coconut? 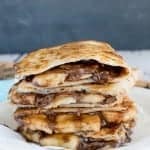 I personally have no problem with coconut (and I LOVE Nutella) so will make these just as written. Will let you know how it goes (and will confess to how many I ate on my own). I have done rice krispies in a version and they liked those too. I don’t think they even realized that I had coconut in these until I told them. I hope you enjoy the cookies! When you boil the first ingredients is it supposed to get to a really thick consistency? Mine turned out kind of soft even after putting in the refrigerator. Im wondering if I didn’t boil it enough first. I don’t think it was super thick, but you do need to boil it the full minute to get the sugar to dissolve and create a syrup. The cookies should set up as they cool without refrigerating them. Is the amount of vanilla correct? A tablespoon seems like a bit much. Yes, that is the right amount. Thanks so much for the reply. I made these but found that I had no vanilla anyway. I did have almond extract so I used that instead. Knowing that almond is a little stronger than vanilla I only used 1 1/2 tsp. They are pretty good. Think I will use the almond from now on for these. Like the flavor it gives. But I will cut the amount a little more. Maybe 1 tsp. Oh, yes. Definitely cut it down if you are using almond extract. I love that flavor too, but it can be way too strong if you use too much! 1 teaspoon of almond is probably plenty!!! You can use either! I usually have unsalted in my fridge. If you use salted, just cut the salt down by half. I hope you enjoy the cookies! I never use coconut (no one but me likes it!) but instead, I use pecans and raisins…really good! Made these today, turned out beautiful, thanks for the recipe. How long does it take for the cookies to set, usually? They should set up pretty quickly.